Cross-platform networks are usually more complicated to manage compared to single-platform systems especially if free network management tools have to be used. The network management software KontrolPack is an Open Source cross-platform network controller that is easy to deploy and operate. KontrolPack is available for Microsoft Windows, Linux and Macintosh operating systems covering most of the operating systems that are in use these days. Deployment could not be easier. The network administrator needs to install KontrolPack on all computer systems that should be managed or used to manage the network. The client systems then need to be started in client mode while the administrative systems need to be started in administrative mode. 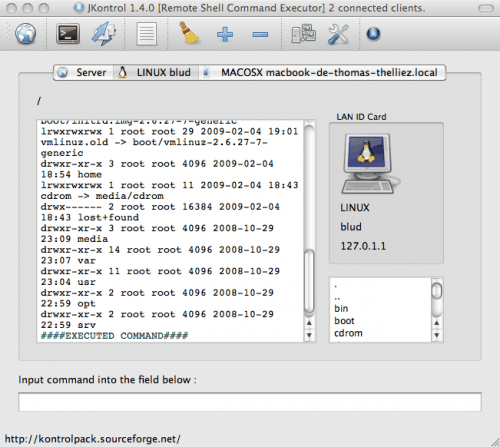 Handle remote shell command execution. Share files between remote computers. Manage your network: LAN (Local Area Network). Get an overview of the workstations on your LAN. Lightweight XML based message exchange between client and server. Handle each client with a personalized tab panel. Send commands simultaneously to all computers on your LAN. All different platform releases of the network management software KontrolPack are available from the developer's website. Maintain has updated Cocktail, the company’s flagship product for Macintosh users. Version 4.5.1 of the software addresses an issue in which Cocktail may not launch on 32-bit-only Macs, as well as other problems, while adding overall improvements to the software. Network management tools does not only provide great help to network administrates but also help common internet users in easy networking.